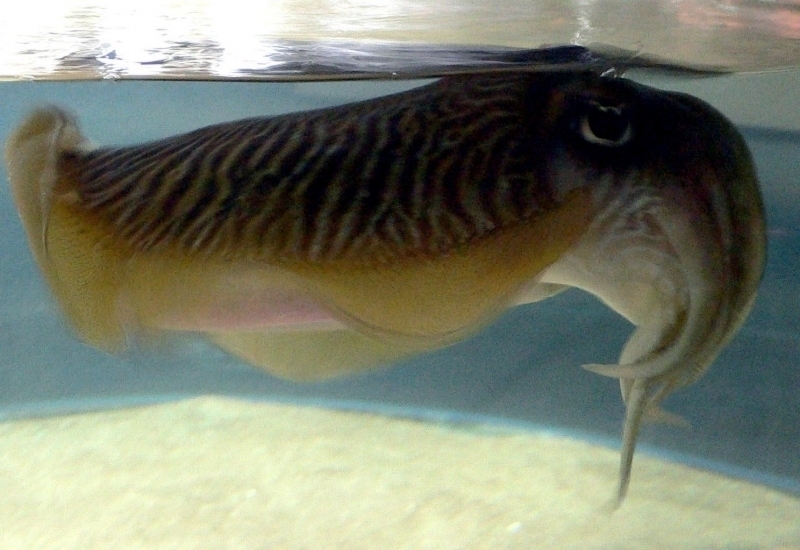 The Cuttlefish reaches a maximum mantle length of 45 centimeters, although one individual has been recorded at 60 centimeters. 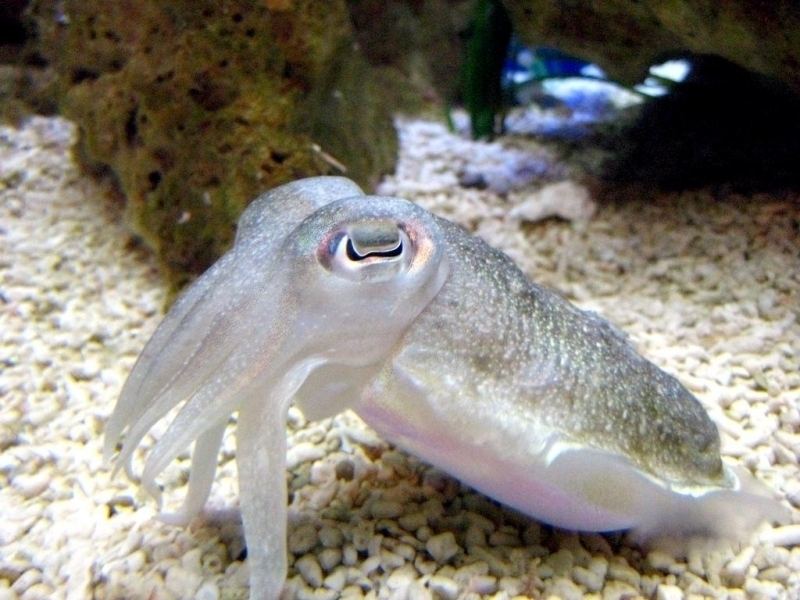 Their mantle (the main body region above their eyes) houses their cuttlebone, reproductive organs and digestive organs. 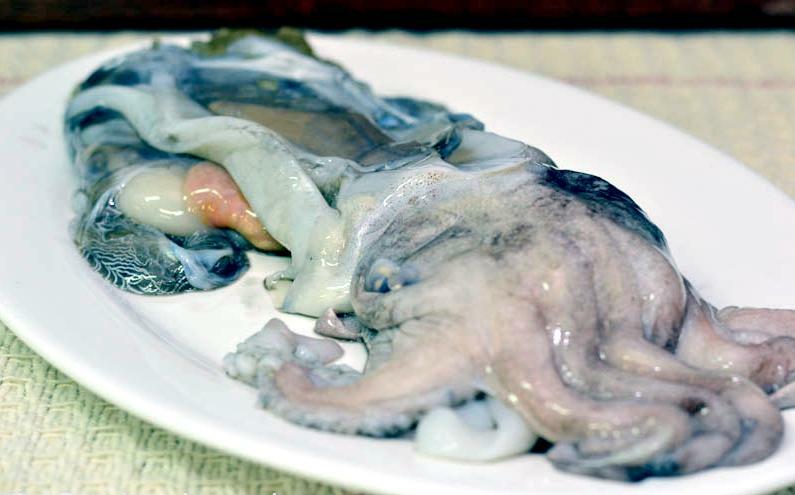 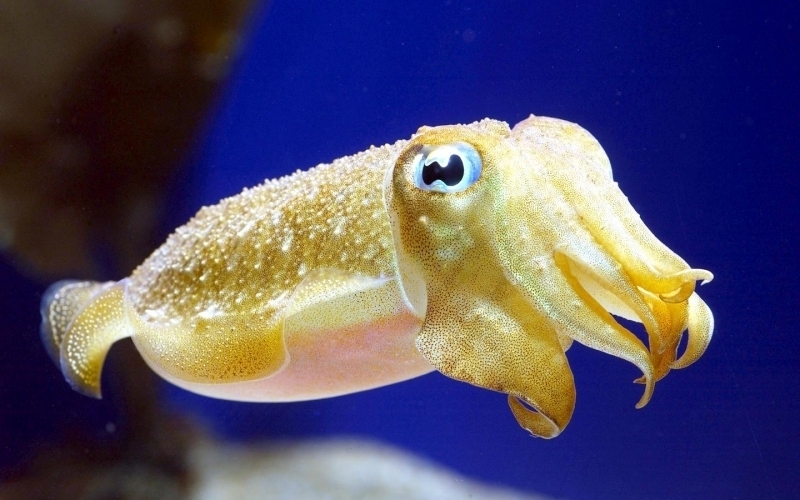 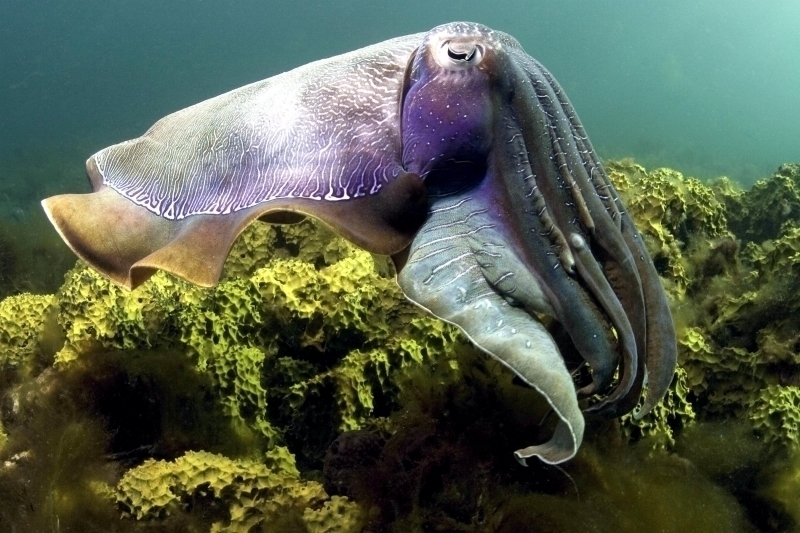 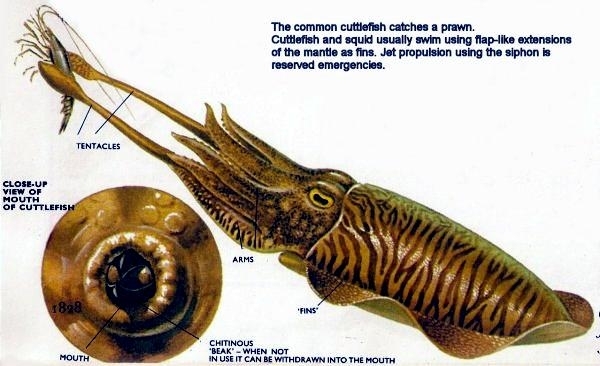 The ‘cuttle’ in ‘cuttlefish’ comes from the Old English word cudele, meaning ‘cuttlefish’, which may be cognate with the Old Norse koddi (‘cushion’) and the Middle Low German küdel (‘pouch’). 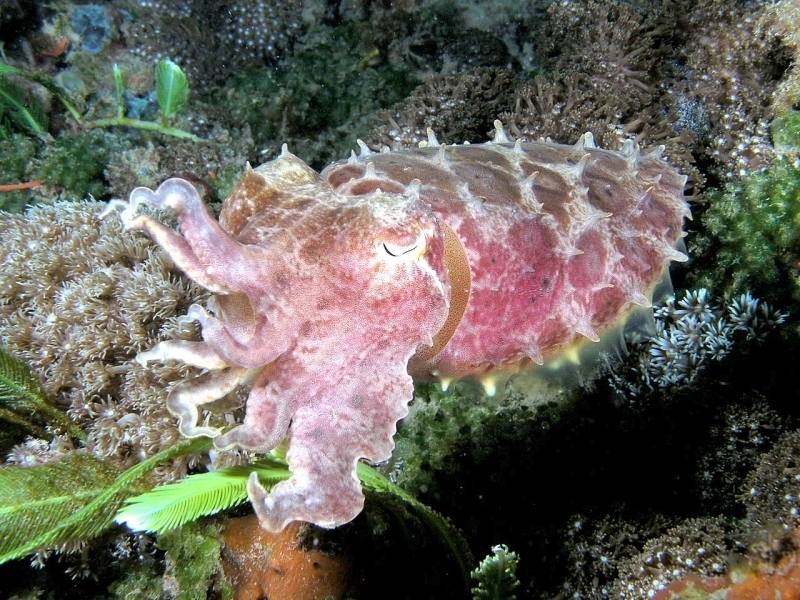 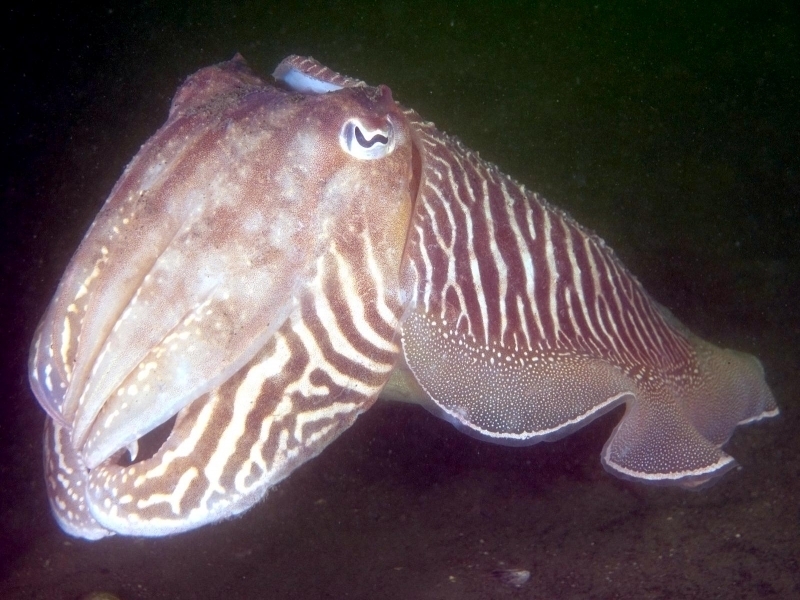 The Greco-Roman world valued the cephalopod as a source of the unique brown pigment the creature releases from its siphon when it is alarmed. 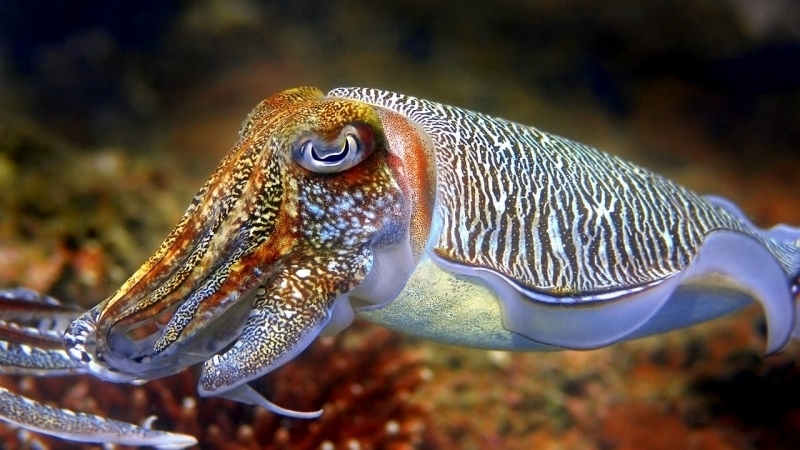 The word for it in both Greek & Latin sepia, is now used to refer to brown pigment in English. 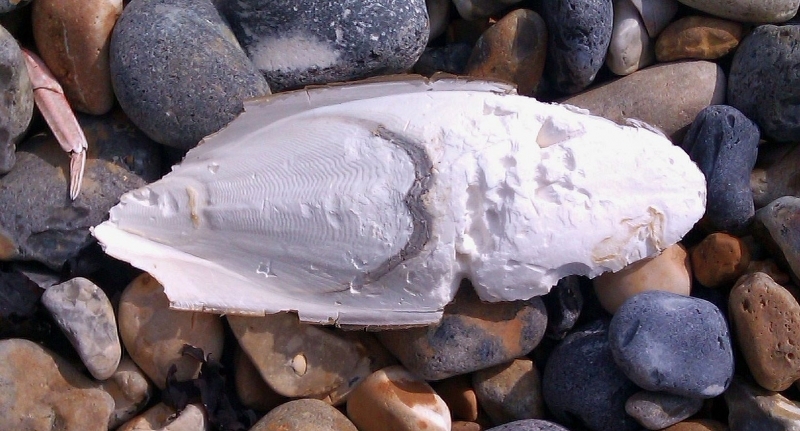 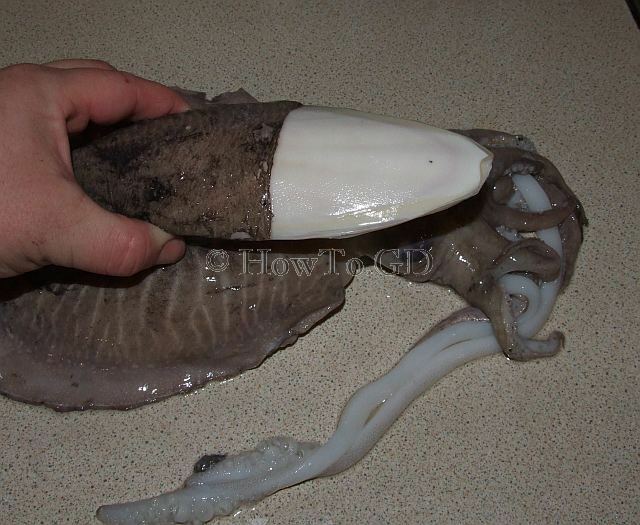 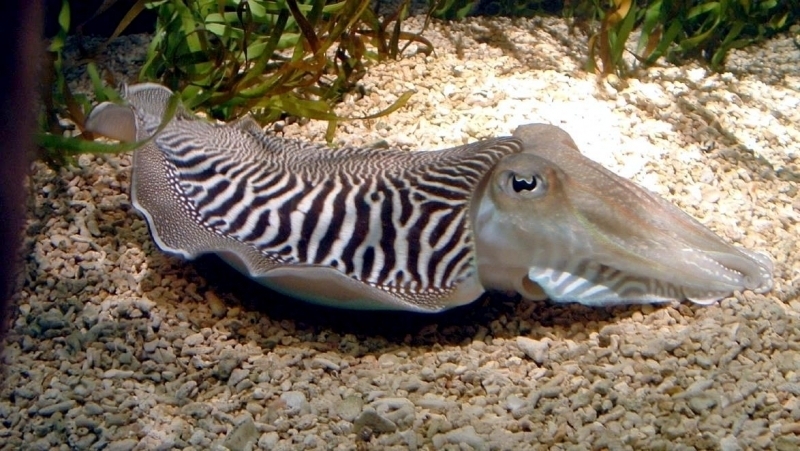 A cuttlebone is not actually a bone, but rather the internal shell of the Cuttlefish. 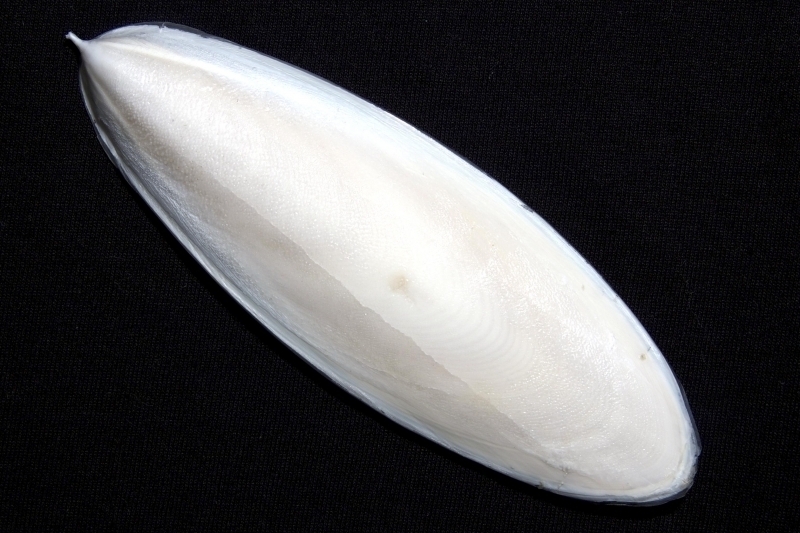 The cuttlebone is filled with gasses and helps control buoyancy in the water. 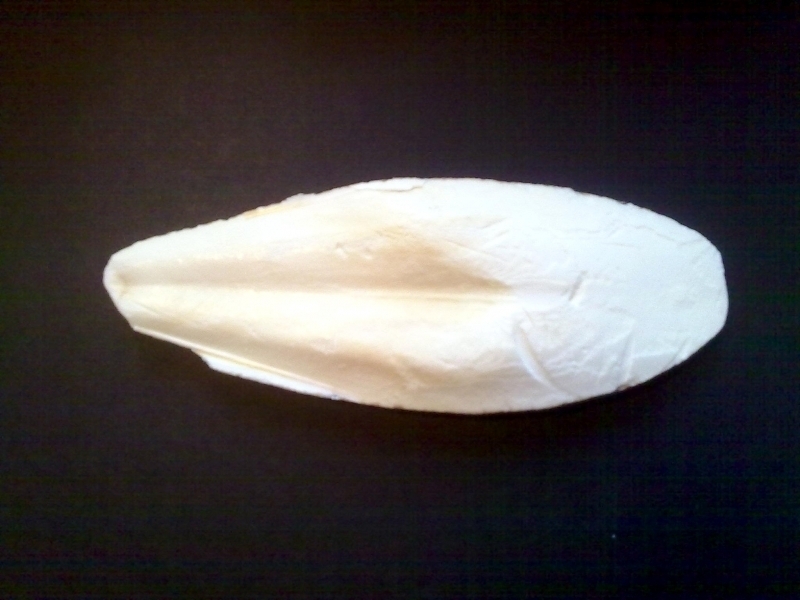 While for years people have harvested and used cuttlebones for various purposes, the most widely recognized use of the cuttlebone is as a supplement & exercise toy for birds. 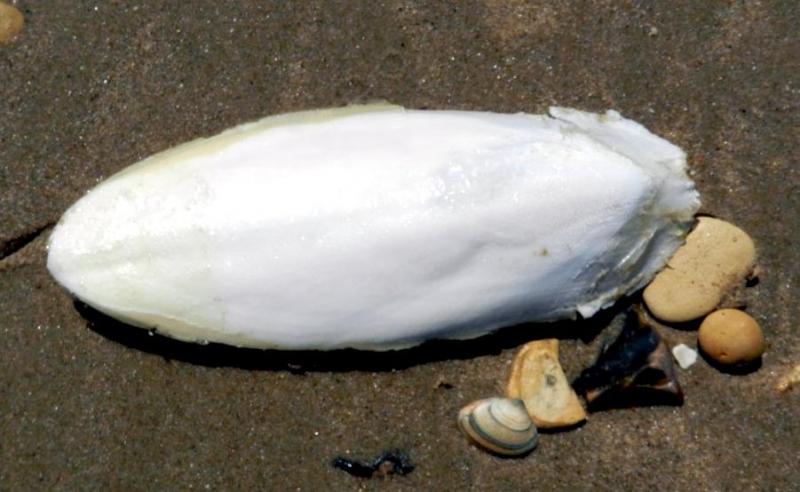 The cuttlebone is made of calcium carbonate and plays a dominant role in these mollusks’ buoyancy; it is divided into tiny chambers in which the Cuttlefish can fill or empty of gas, depending on its needs. 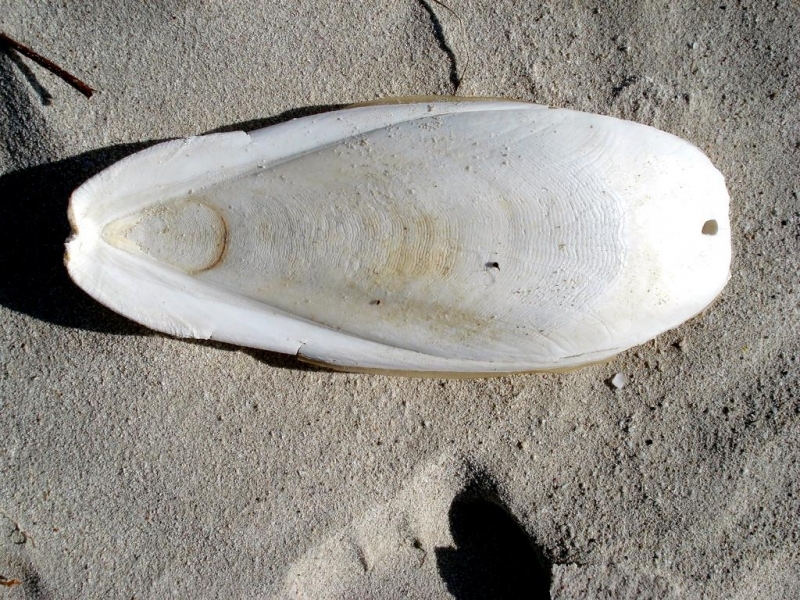 A pair of flat fins span the entire length of their mantles, which they undulate rapidly when swimming. 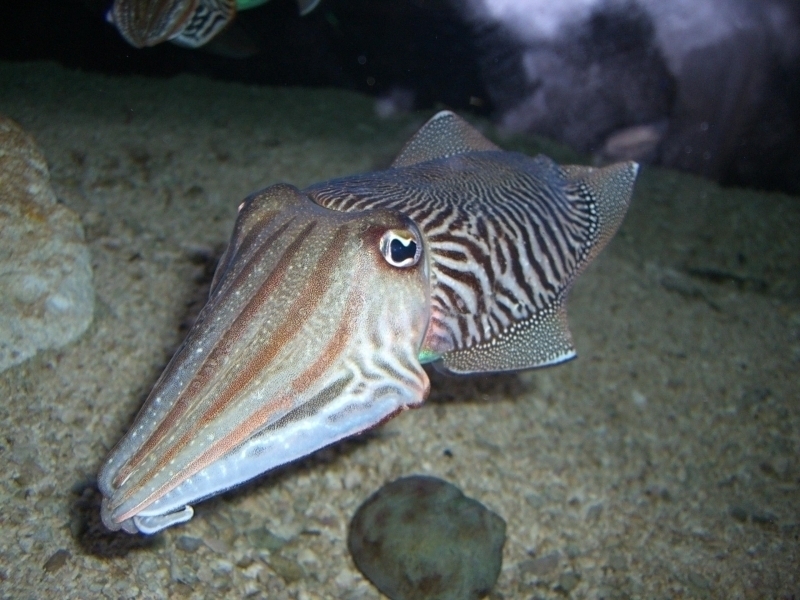 Their head is located at the base of their mantle, with 2 large eyes on either side and sharp beak-like jaws in the center of their arms. 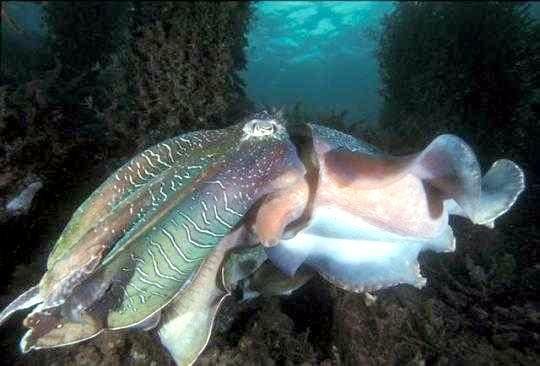 They have 8 arms and 2 longer tentacles for capturing prey that can be retracted completely into the body. 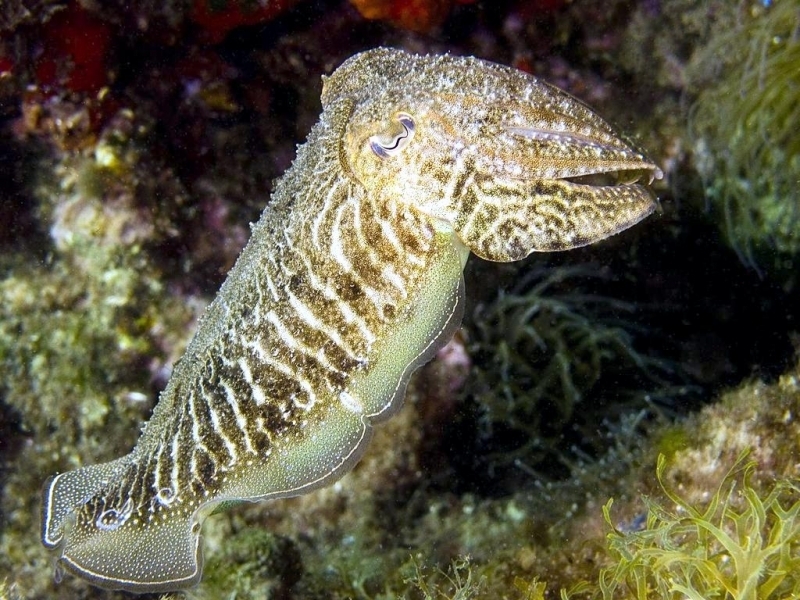 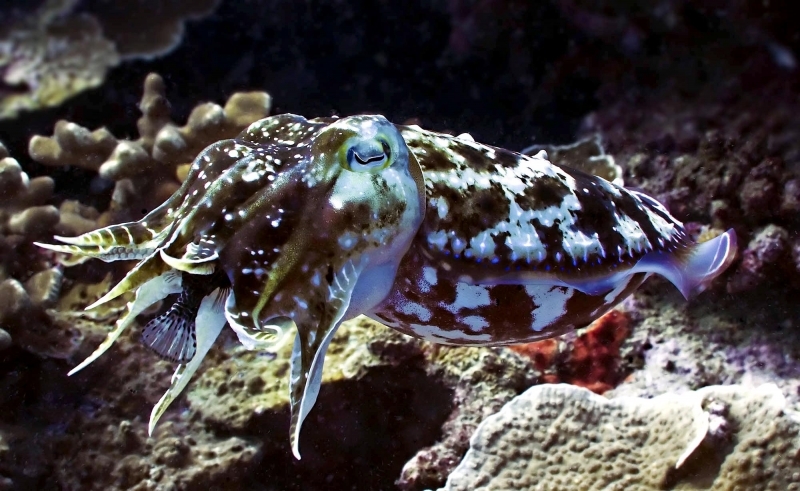 The basic coloring of Cuttlefish varies, although they typically display a mottled black or brown color. 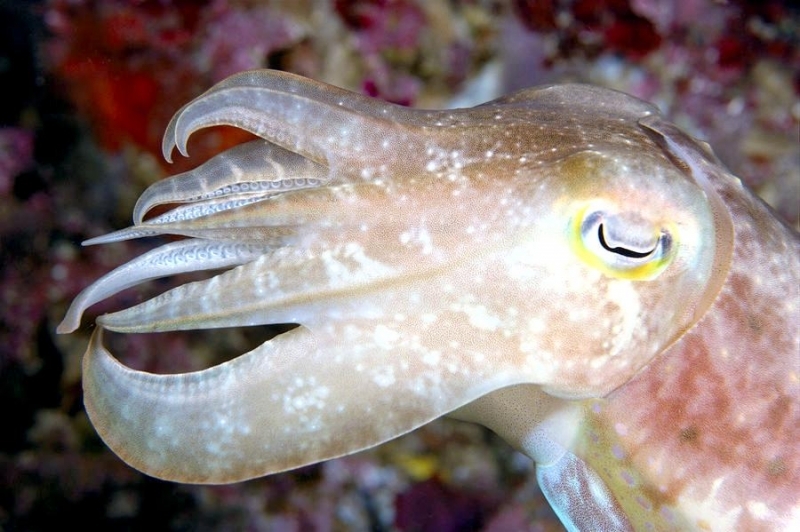 Adults can be recognized by their white lines branching from the base of their flared third arm. 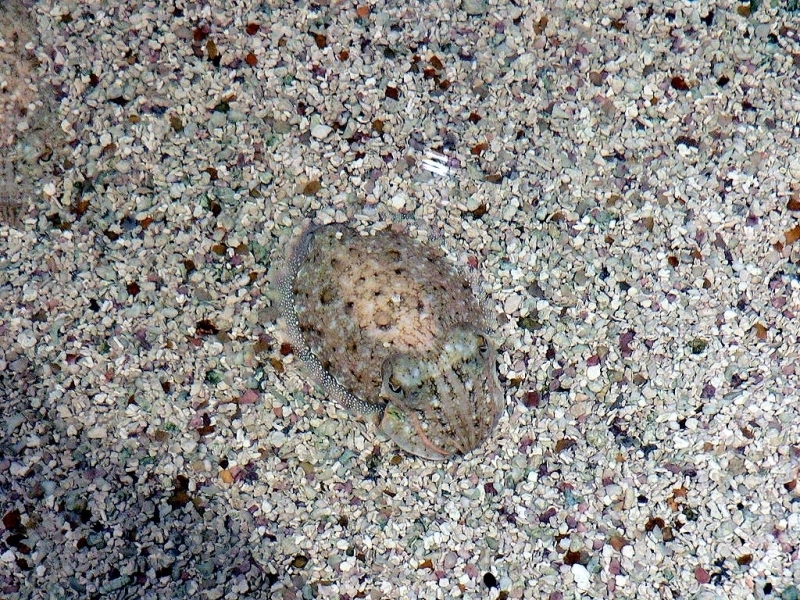 Color changes are due to 3 types of structures contained within its skin called chromatophores, which are small structures filled with colored ink which can be expanded & contracted to communicate with others or that can form patterns and textures used as camouflage, often mimicking the surrounding landscape. 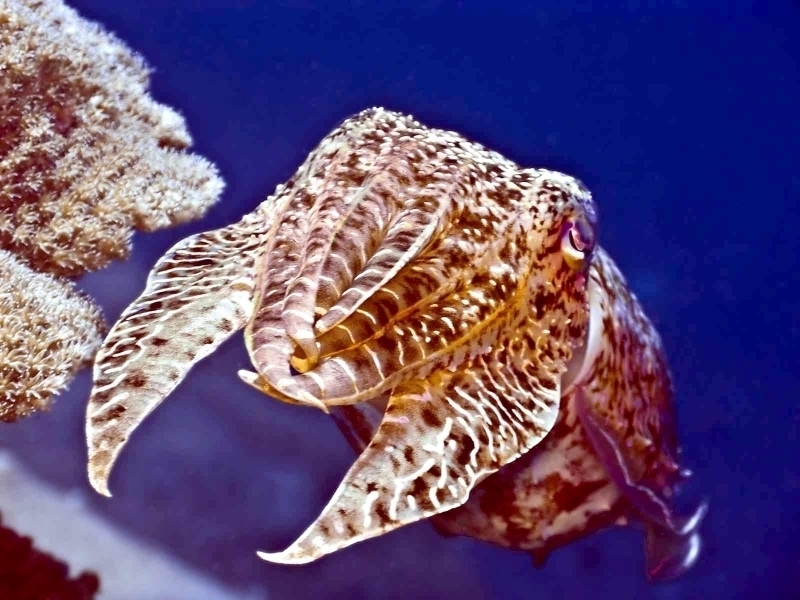 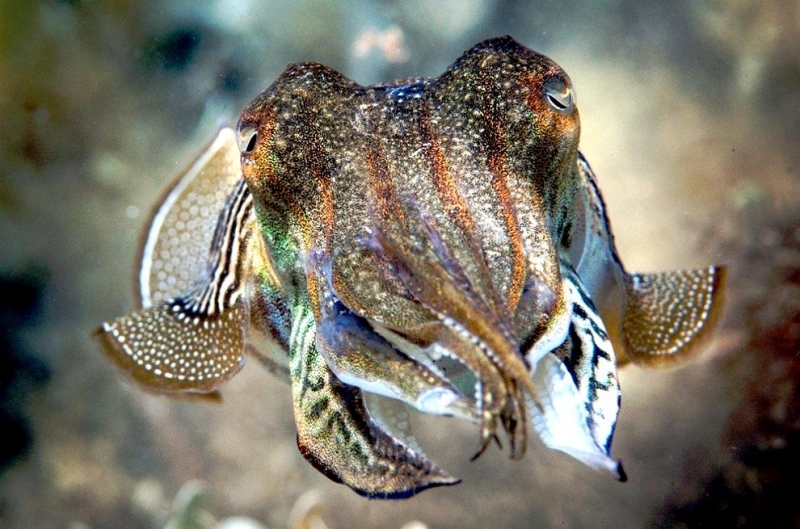 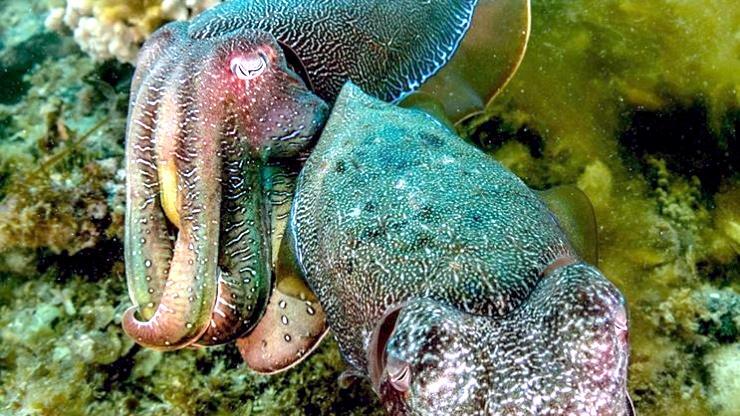 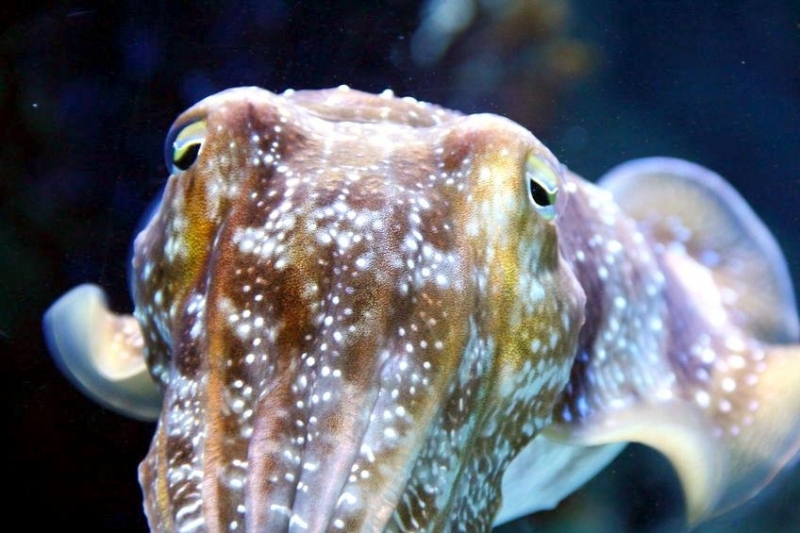 These structures basically allow Cuttlefish to reflect a myriad of colors and even change the textures of their skin. 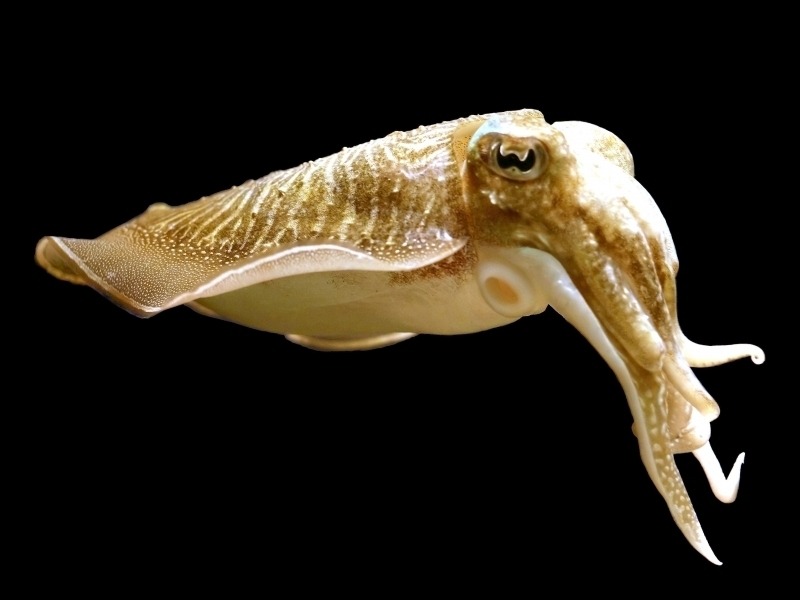 The name Sepia refers to the type of ink they house within their bodies. 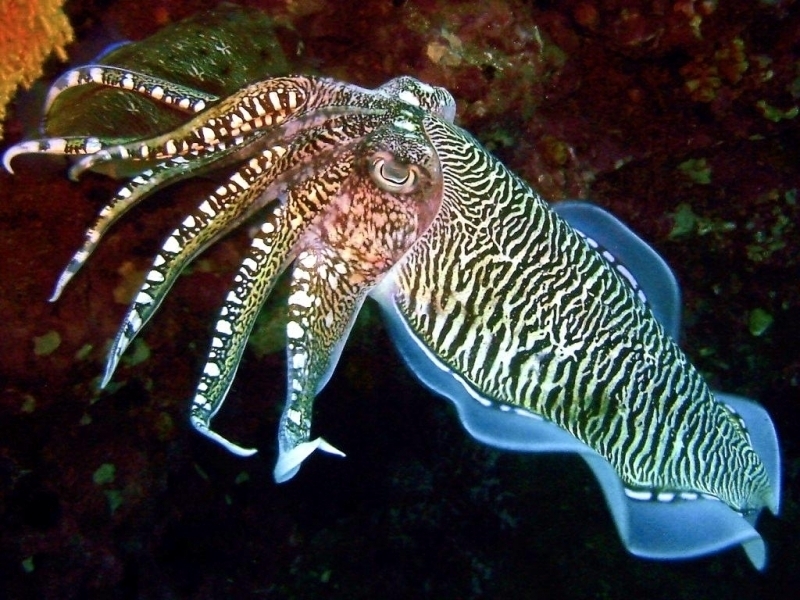 This ink is used to deceive large predators when they try to attack Cuttlefish. 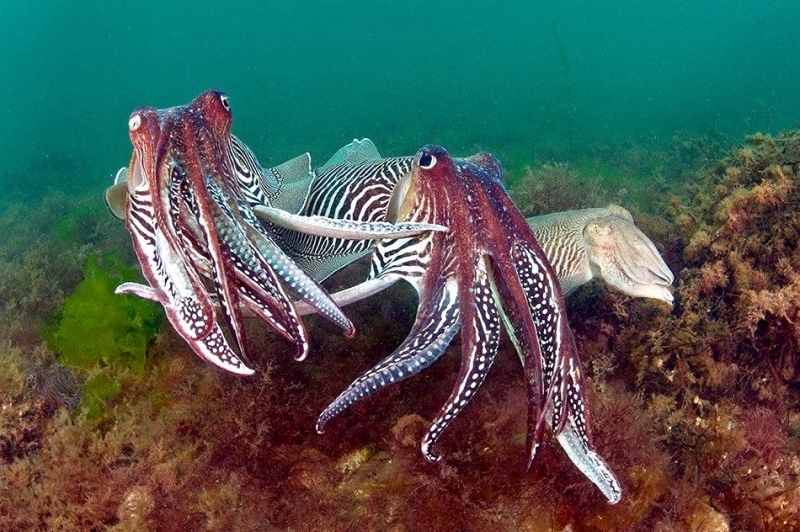 When a predator is near, they shoot their ink into the water to confuse the predator while they jet hopefully to safety. 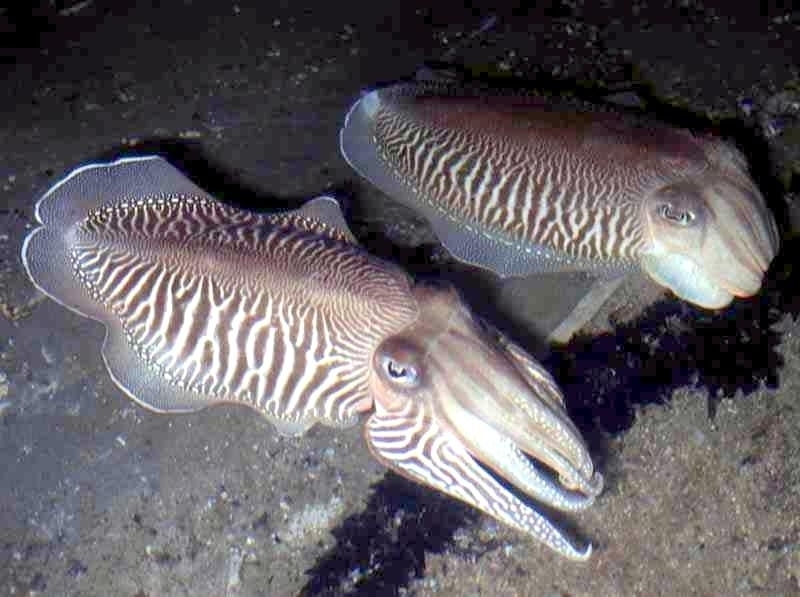 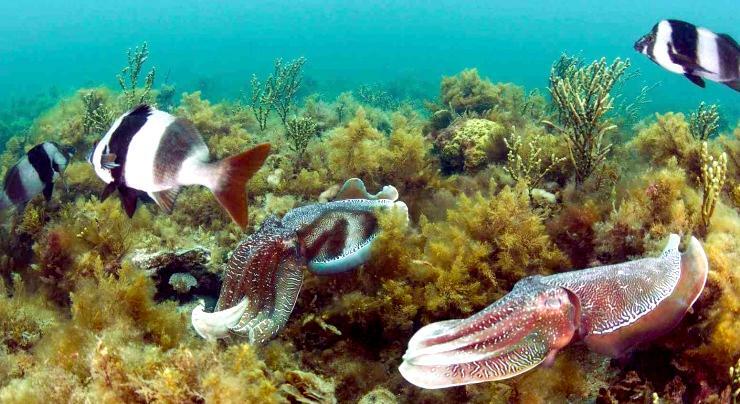 Cuttlefish are found in sub-littoral depths between the low tide line and the edge of the continental shelf, to about 100 fathoms or 200 meters. 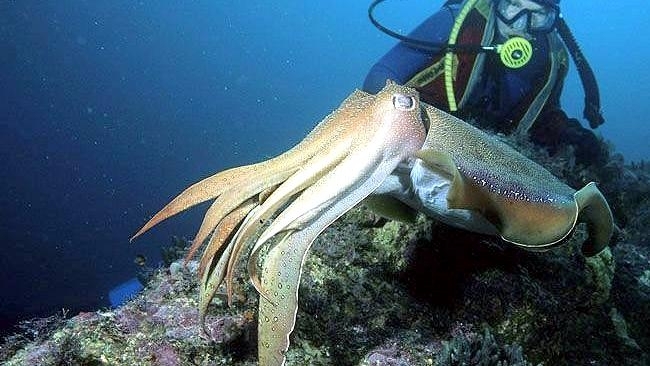 They are masters of disguise. 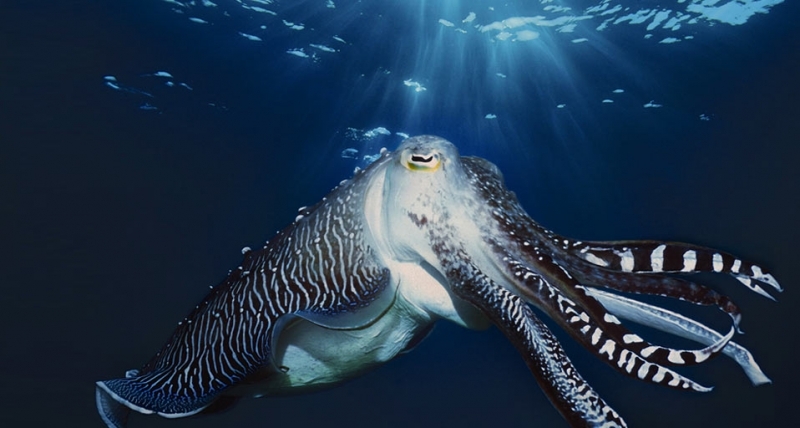 Their highly specialized array of color-changing structures allow them to blend themselves perfectly into their backgrounds. 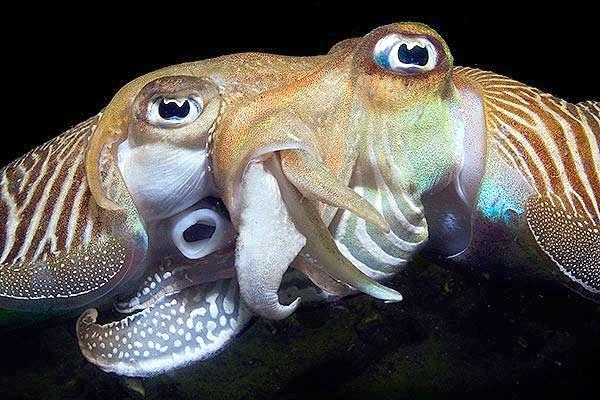 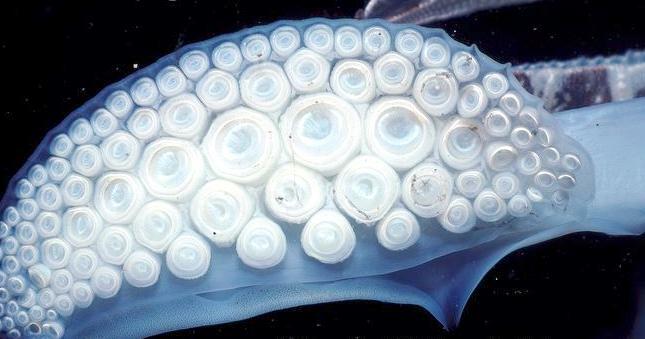 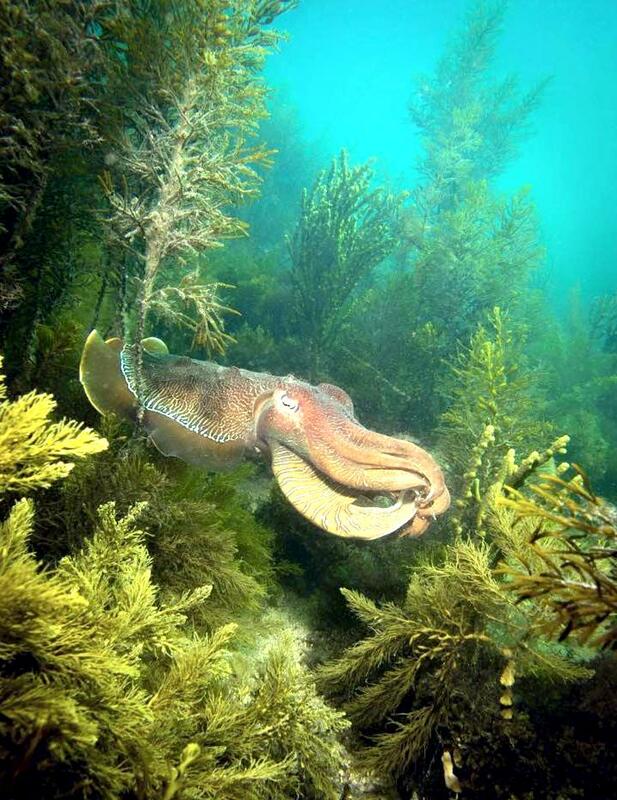 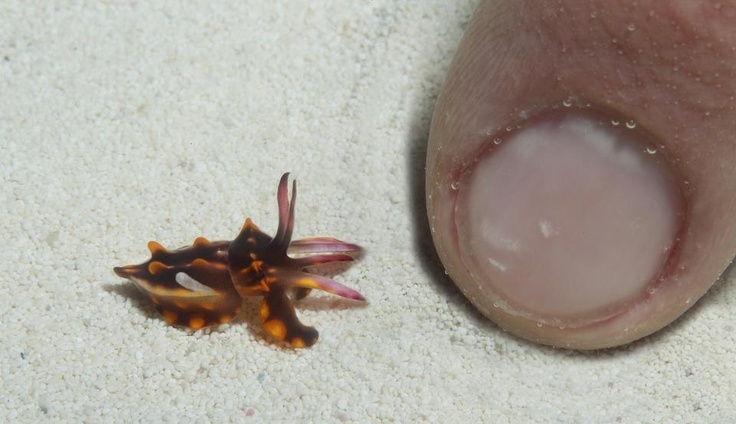 This also lets them often sneak up on prey and then shoot out their tentacles which have suckers on the widened pads at their tips at lightning speed to capture them. 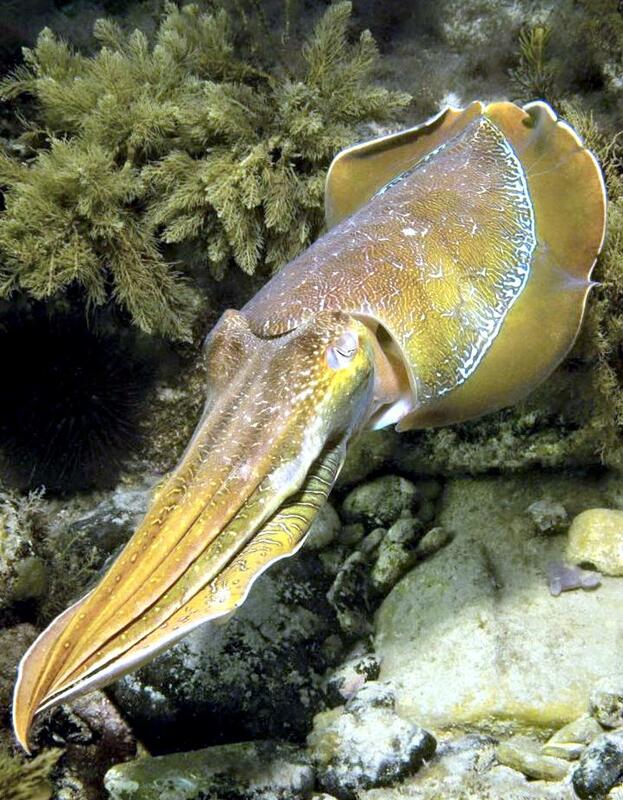 They use their tentacles’ suckers to hold their prey while they bring it back towards their beak. 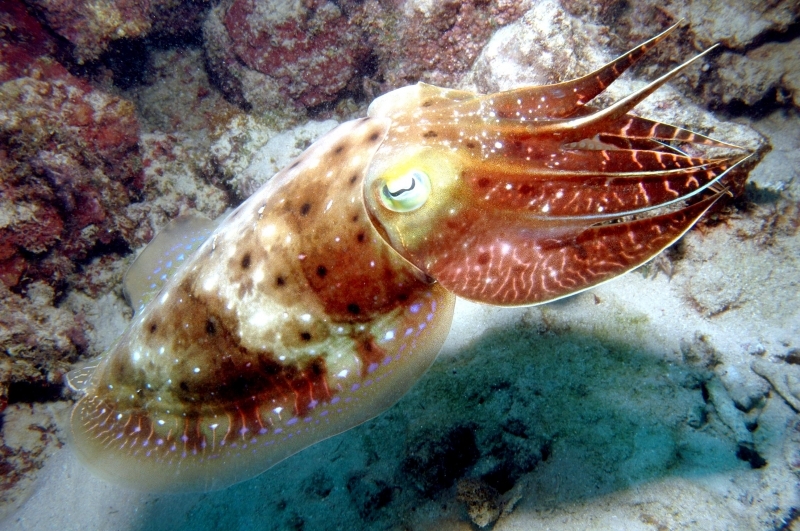 Cuttlefish eat mainly crustaceans and small fishes. 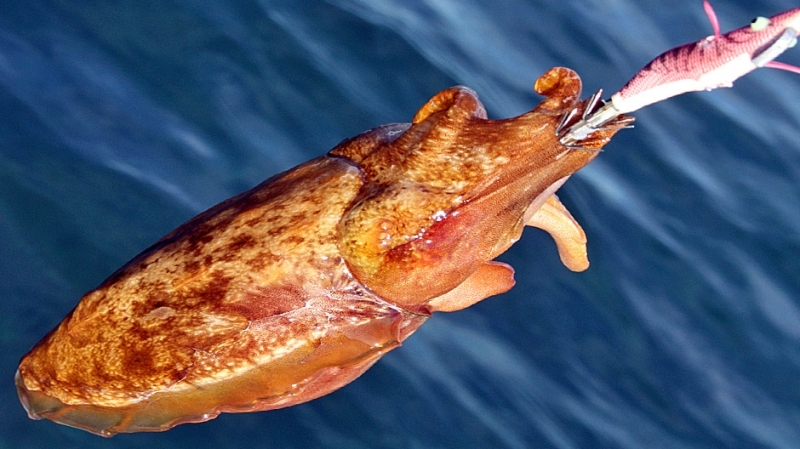 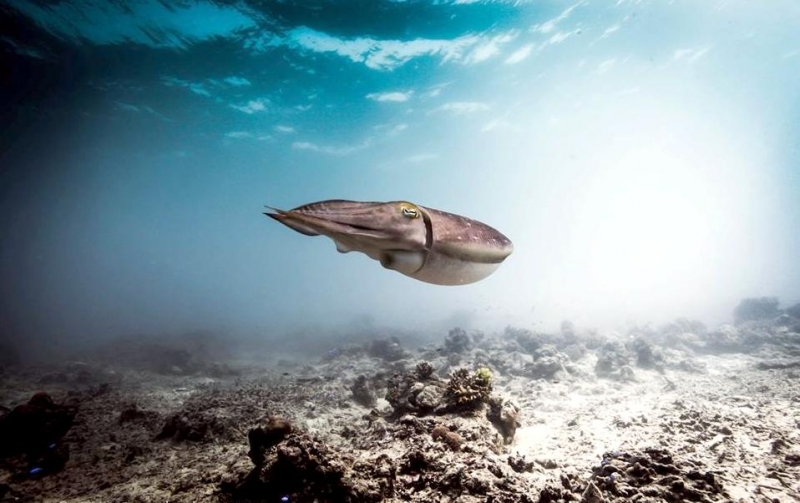 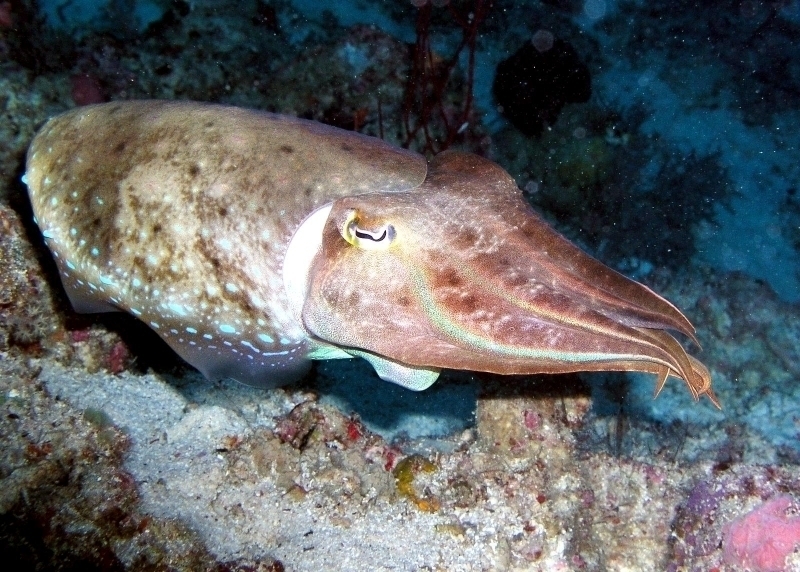 Cuttlefish’s primary predators are typically larger fish. 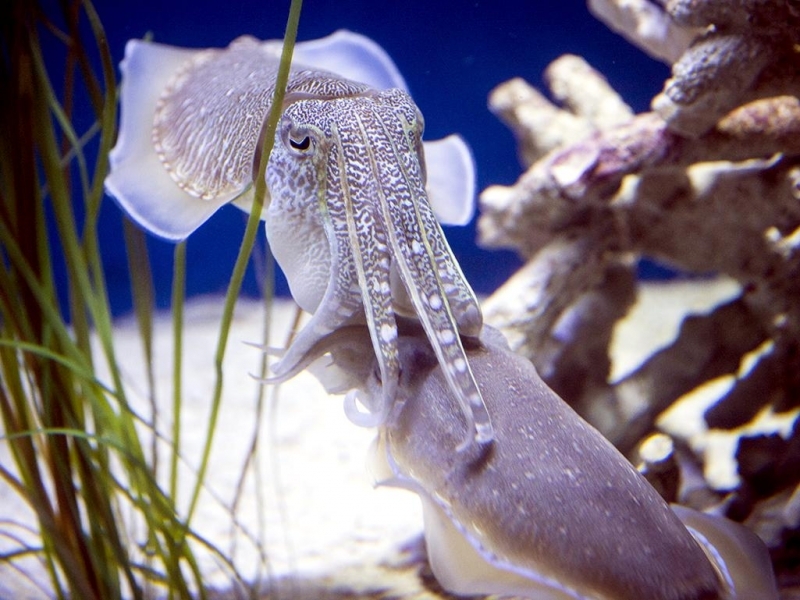 The reproductive cycles of Cuttlefish occur year round, with spikes in mating during the months of March & June. 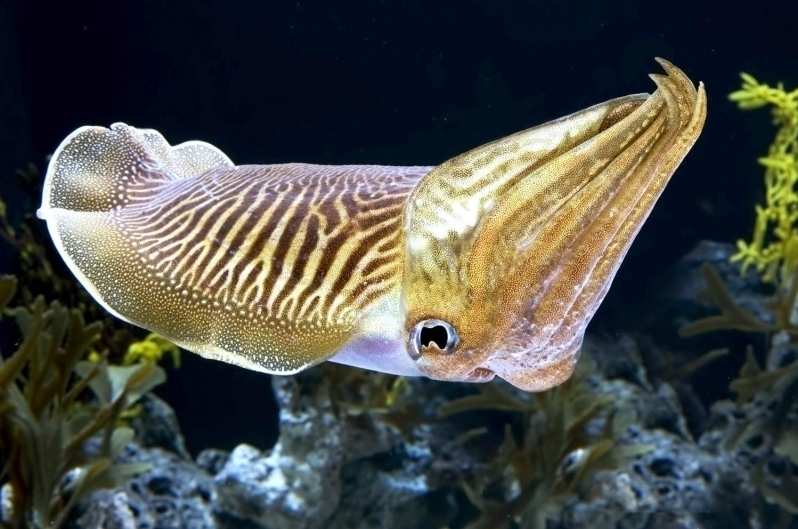 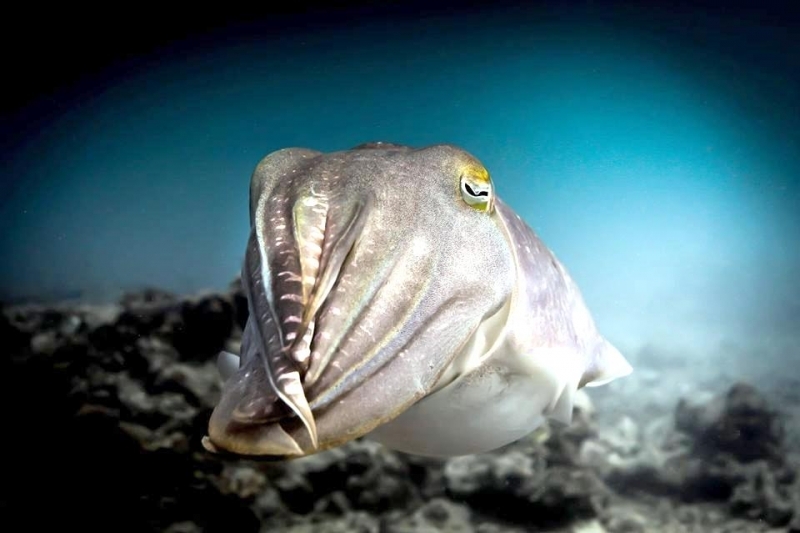 Cuttlefish are dioecious, meaning they have separate male & female sexes. 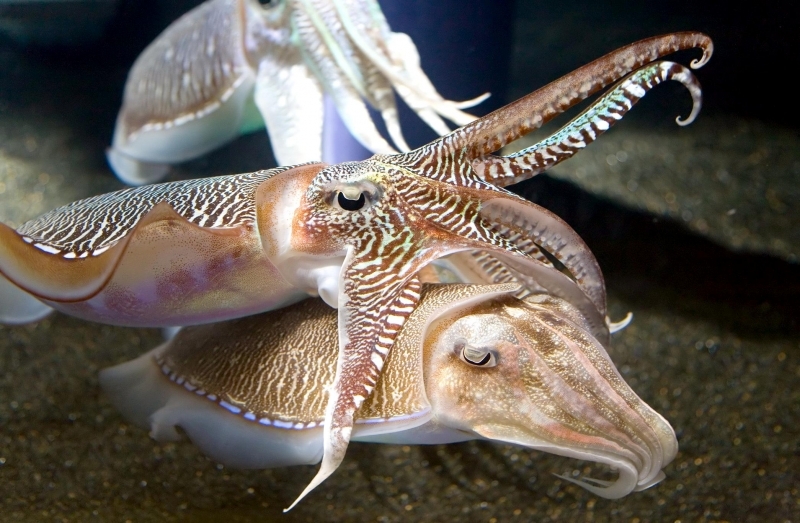 The males transfer sperm to the females via a hectocotylized arm, an arm modified for mating. 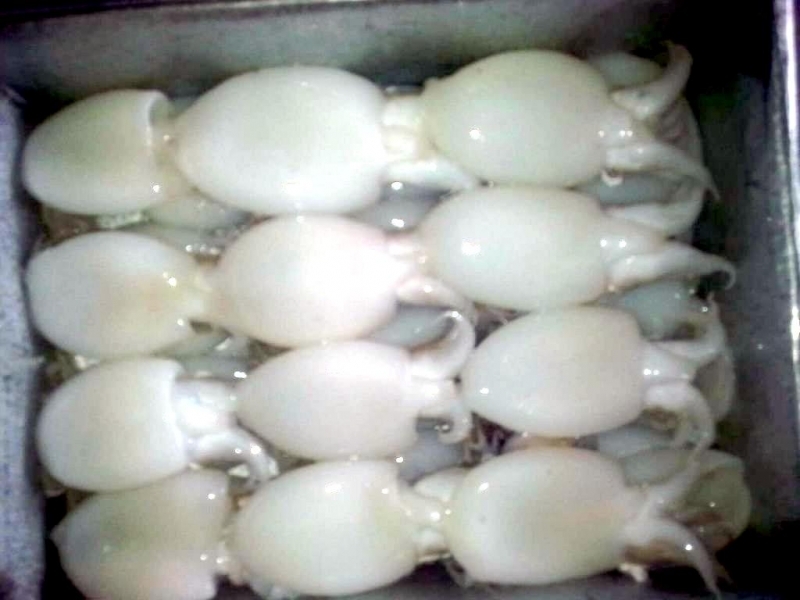 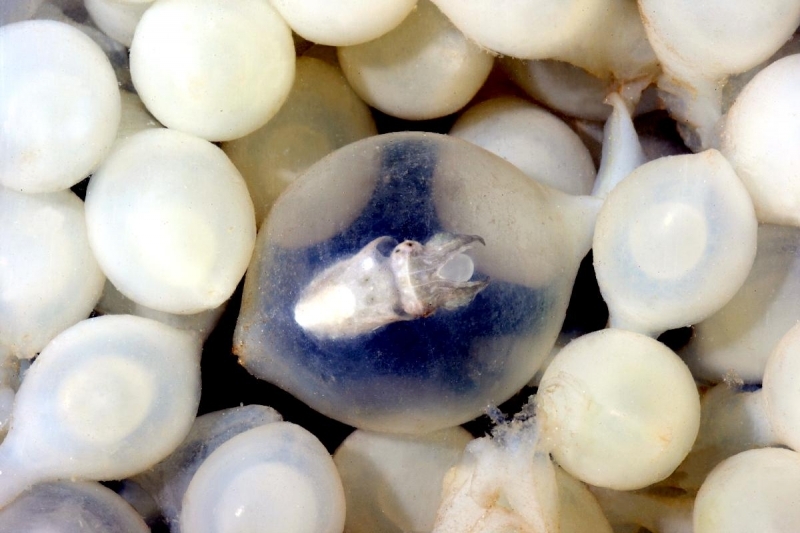 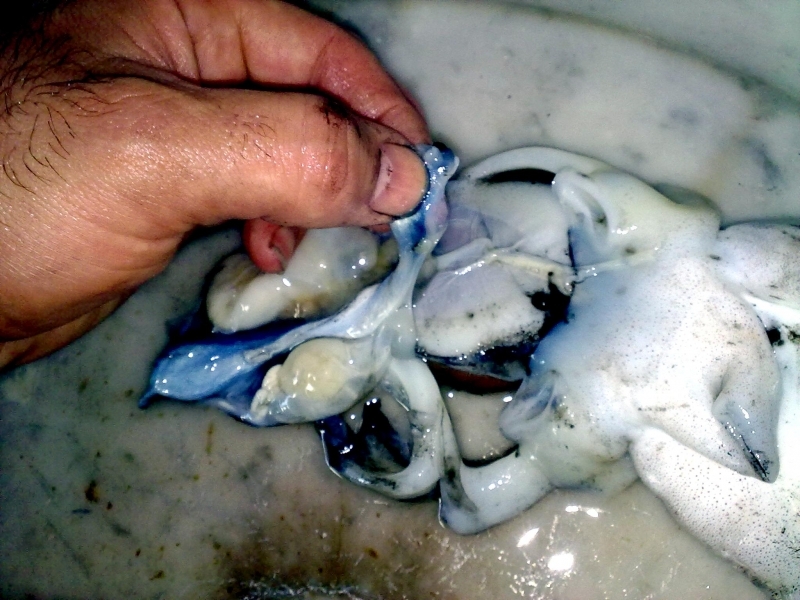 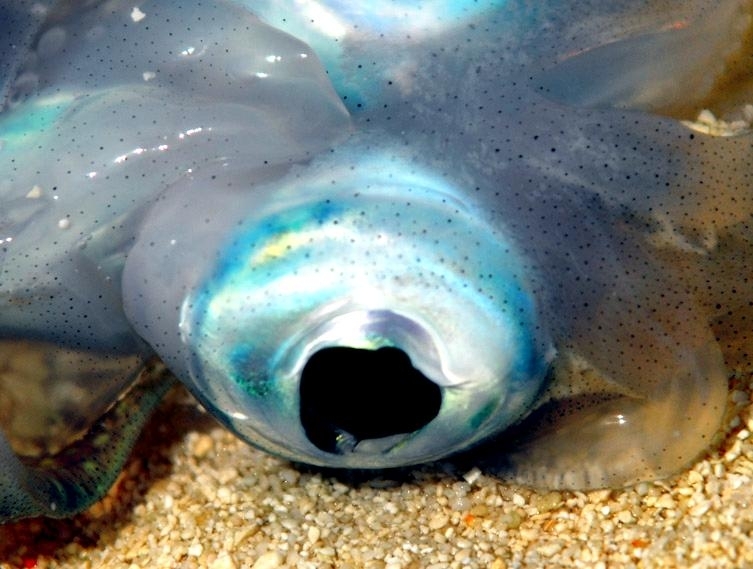 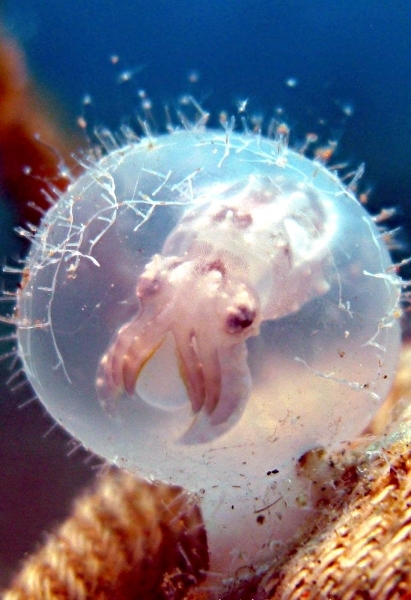 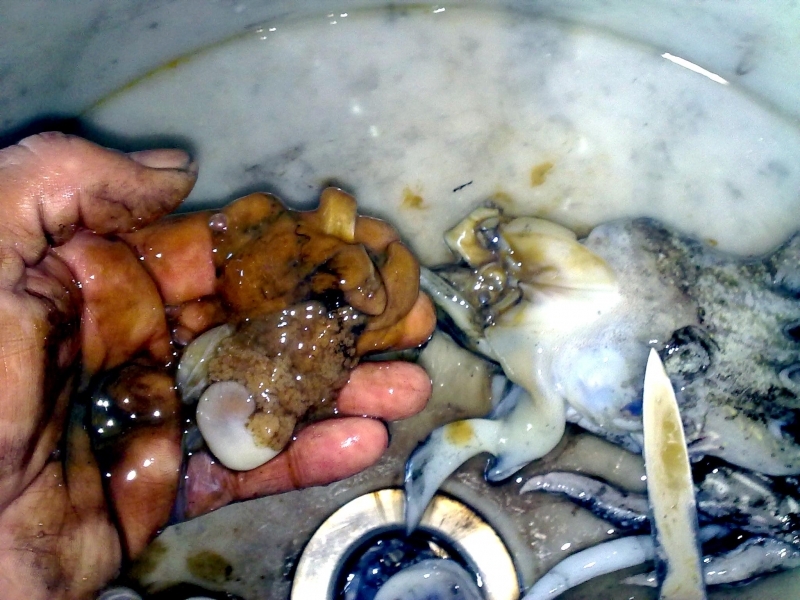 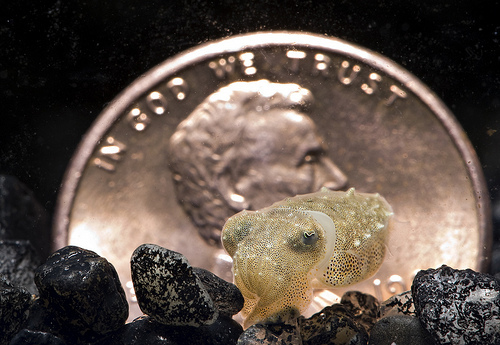 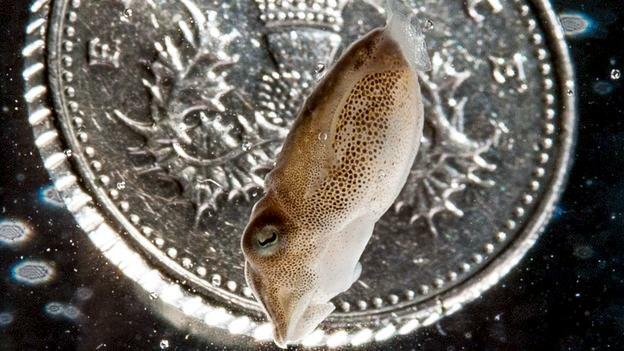 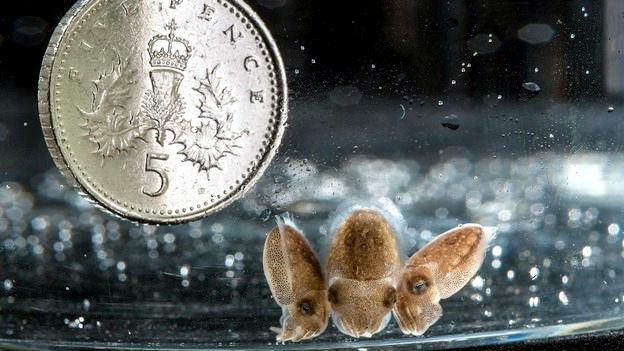 Cuttlefish have large eggs on the average of 6-9 millimeters in diameter, that are stored in the oviduct which are then deposited in clumps on the bottom of the sea. 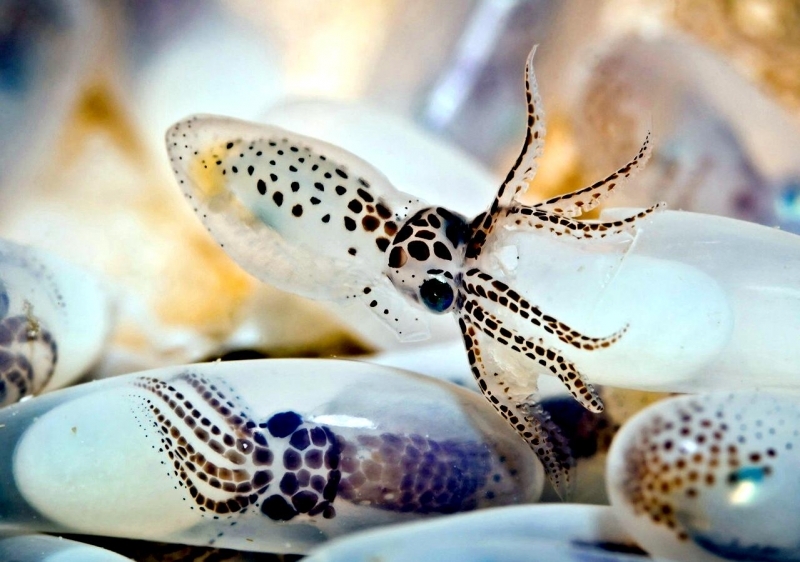 The eggs are colored with ink, which helps them to better blend into the background. 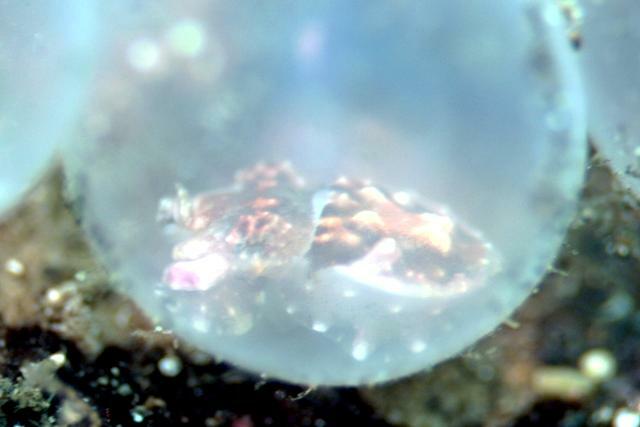 The young hatch with a nutritious yoke that will support them until they are able to secure food for themselves. 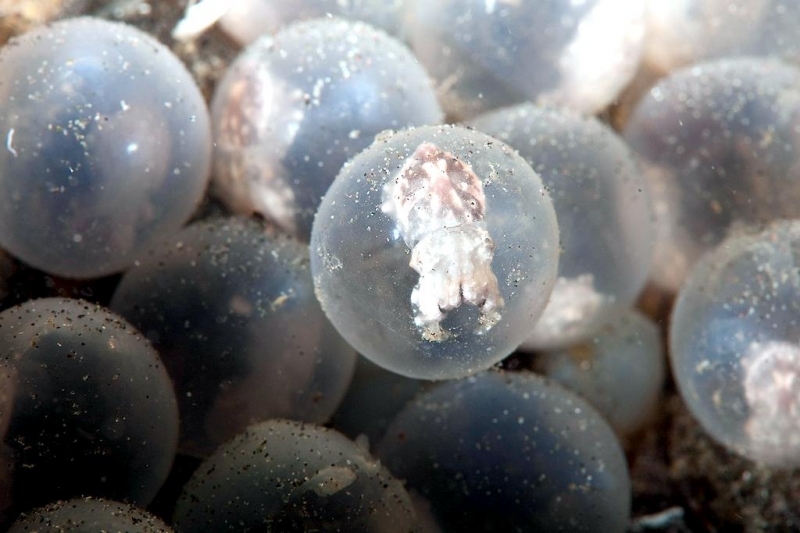 They hatch at a much further developed stage than a Common Octopus does and immediately start feeding on suitably small shrimps.